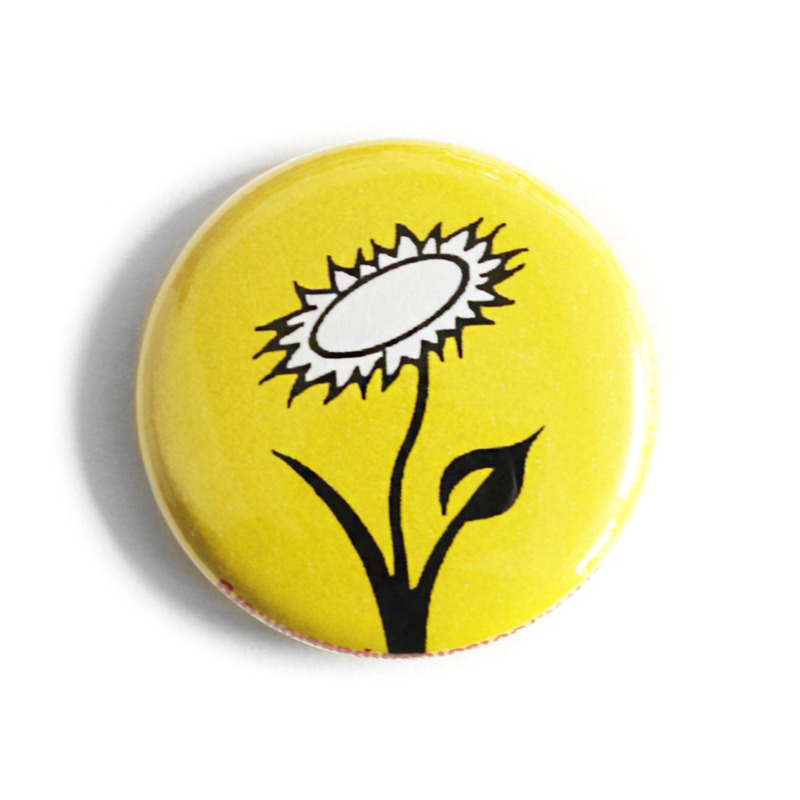 Yellow Button with Vegan Flower. A product with the vegan flower (trademark by Vegan Society UK) are guaranteed vegan. The product and the production process are free from animal ingredients and animal testing.